Airport Shuttle & Luxury Travel with CT's first name in transportation. Connecticut Limo™ provides a whole new travel experience from Connecticut's "first name" in transportation. Connecticut Limousine™ is a Connecticut travel tradition. CT Limo™ has developed this site to present its complete line of luxury vehicles and services. Connecticut Limousine is economical, offering ground / airport transportation to meet your individual needs. 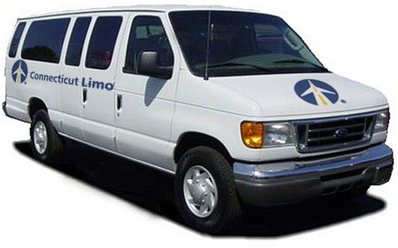 Servicing Bradley, Kennedy (JFK), LaGuardia, and Newark; we offer convenient, timely shuttle/shared ride services. Personal sedan, limousine, or vehicle of choice service is also available to airports. Private transport extends your travel options to Westchester, Logan and other airports not served by shuttle. Learn more by calling our Private Car department at 203-974-4700, option 3. Over 50 years of experience providing chauffeured transportation, Connecticut Limousine’s Corporate Services for safe, reliable and professional service. Chauffeured stretch limos or a twenty-five passenger luxury party bus for prom night. Safe and reliable prom limousine service throughout New Haven, Middlesex, Hartford, and Fairfield counties. Available for all your special occasions and events, big or small. Quality transportation for: birthdays, anniversaries, graduations, bar & bat mitzvahs, bachelor/bachelorette parties, nights on the town, sporting events, concerts, and more!